Two-wheeler giant Bajaj Auto Ltd has reported a year-on-year increase of more than 10 per cent in net profit for the December quarter, thanks to strong exports. Bajaj Auto's sales volume slipped 9,93,690 units in the October to December quarter of 2013, down 11.8 per cent from 11,27,741 units sold in the corresponding quarter of the previous year. Sales volume slipped due to subdued sales in the domestic market. Despite fall in total sales, the company enjoyed an increase of 10.48 per cent in net profit in the quarter under review. The company's exports revenue jumped 23.5 per cent, from Rs 1,719 crore to Rs 2,123 crore. 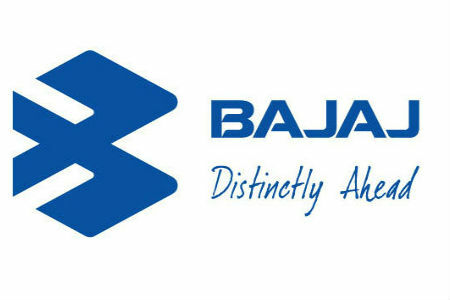 S Ravikumar, president of business development & assurance at Bajaj Auto, said the company generated a good chunk of revenue from newer markets like Latin America and Africa. Commenting on the company's strong exports, Ravikumar said, "At one point of time, these markets (Sri Lanka, Egypt and Bangladesh) use to be our major focus areas. But today we are more spread out and a good chunk of business comes from markets like Latin America and Africa." The country's second-largest motorcycle producer successfully held strongly on its Platina and Pulsar segments, but that could not prevent the company's market share from falling. The company lost nearly 4 per cent of its domestic market share in the quarter ended December 31. He added that the company's newly launched Discover 100 M motorcycle had been well received by consumers and that the company was looking to sell 45,000-50,000 units of the vehicle during January. He also pointed to more product launches in the current quarter.